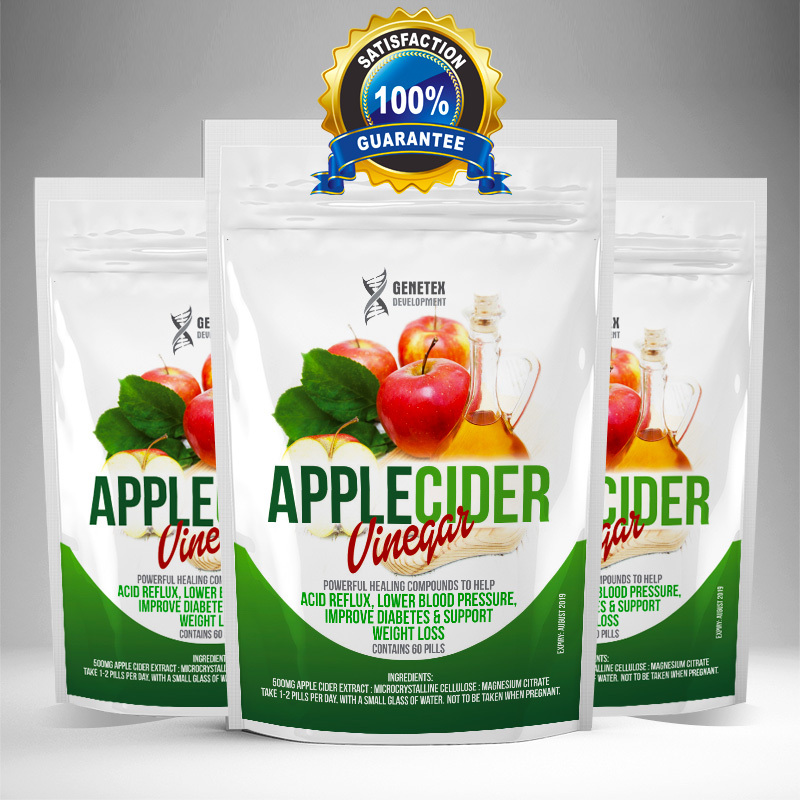 Product: Apple cider vinegar, otherwise known as cider vinegar or ACV, is a type of vinegar made from cider or apple must and has a pale to medium amber color. ACV is used in salad dressings, marinades, vinaigrettes, food preservatives and chutneys. It is made by crushing apples and squeezing out the liquid. Our tablets are great for those who don’t like the sour vinegar taste! Result: New medical research also suggest that apple cider vinegar ingestion can help acid reflux, lower blood pressure, improve diabetes and support weight loss, in both Men & Women. Science: Bacteria and yeast are added to the apple liquid to start the alcoholic fermentation process, and the sugars are turned into alcohol. In a second fermentation process, the alcohol is converted into vinegar by acetic acid-forming bacteria (acetobacter). Usage: Take 1-2 Tablets, orally, before a meal. Do not use if pregnant or nursing. consult a health care professional before use if you are taking any medication or have any medical condition. Not recommended for use by individuals under the age of 18 without parental permission. Keep out of reach of children. I love this product! with Extra Strength! It worked good for what I needed it for.. Looking forward to using this for medicinal purposes(digestive issues) as well as for losing weight.